Methane released by ruminant livestock represents the largest global source of methane, with strong increase of concentration of green house gas in atmosphere. The SF6 tracer technique is commonly used widely for determining methane (CH4) emission rates by ruminant animals. 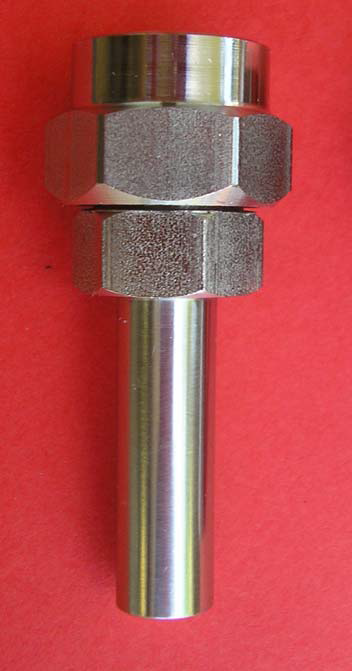 It is a technique available for precise and accurately determining CH4 emissions by individual grazing animals. 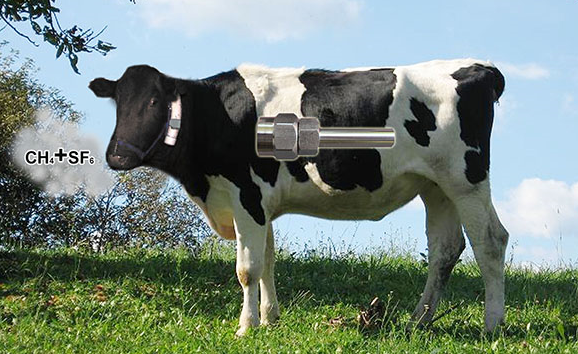 A permeation tube that release SF6 is placed in a cow’s rumen, the animal is fitted with a sampling system such that the air from around the mouth and nostrils can be collected over an estende period of time. Permeation tube is a small containers in stainless steel with a small window in polymeric material filled with pure SF6 (Sulfur Hexafluoride) in a two-phase equilibrium between its gas phase and liquid phase. Whit a constant temperature, the device emits the compound through permeable wall with a constant rate. In this case the permeation tubes are certified at 39 °C (internal temperature of rumen).